100% Brushed cotton twill features 6 panel, medium profile, structured crown & pre-curved visor. 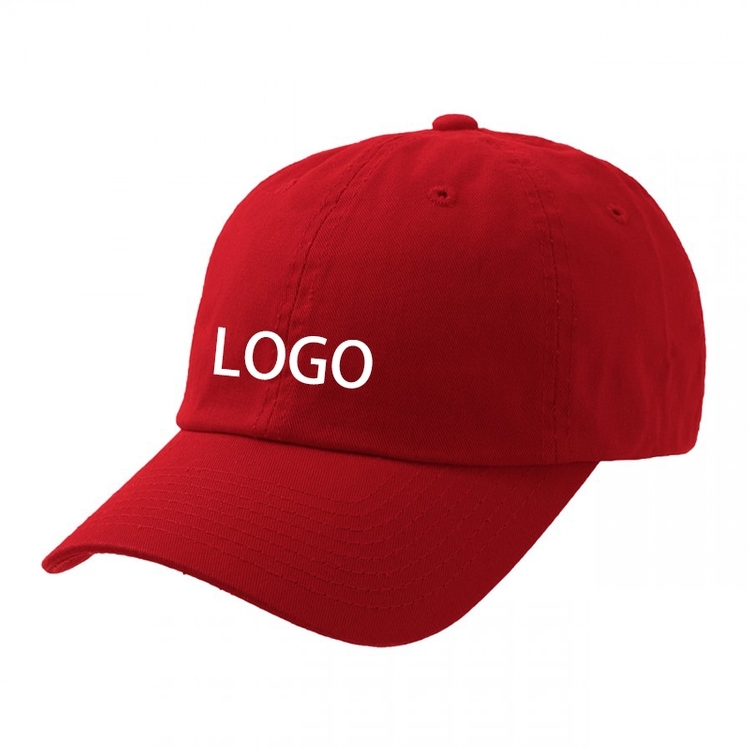 Different color to choose and customized logo can be imprinted on it. 22 5/6" x 4 5/6"
Package: 50 pcs/opp bag, 200 pcs/ctn, 33 lbs/ctn. Imprint Size: 4 1/2" x 2 1/8"
Price included 1 color, 1 side and 1 location, and freight fee to USA. All prices and descriptions are subject to change without notice. If the price listed is different from the actual price, we will notify you before processing your order. Prices will be calculated using end of day exchange rates if orders contain products with different currencies which will be communicated prior to processing the order.